When the population of wild California Condors plunged to a mere 22, U.S. Fish and Wildlife made an aggressive decision in 1985: capture all remaining birds to save the species and replenish numbers for future repopulation. 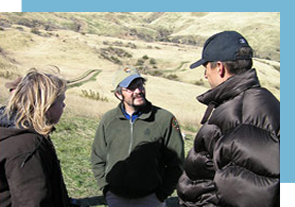 The California Condor Recovery Program is now 20 years old and one of the world’s most successful repopulation programs of a species facing extinction. 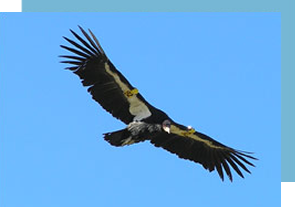 The population now numbers over 245 birds, and the California Condor Recovery Program is more than half way to its goal of 450 living birds in three populations in California, Arizona and in captivity. 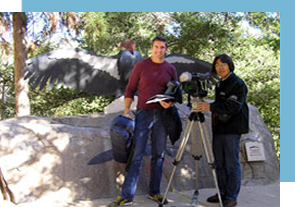 GEN TV production of Japan and Pacific Voice L.A., with the help of teams from U.S. Fish and Wildlife, the Los Angeles and San Diego Zoos, and the Ventana Wilderness Society, examined the success and the hurdles facing the California Condor and the Recovery Program.This program, scheduled to sync with the first re-release of a captive bred Oriental White Stork in Japan in 2005, shows that wildlife is truly the barometer of environmental hazards that need to be addressed not only to save vanishing animal populations, but also for the health and safety of humans that share their territories.